This summer, Captain America: Civil War kicks off Marvel Phase Three, which culminates with the epic two-part adventure Avengers: Infinity War Part I and Avengers: Infinity War - Part II, arriving in 2018 and 2019, respectively. One of the biggest pieces of the Marvel Phase Three puzzle is Thanos (Josh Brolin), although we don't know when we will actually get to see him next. While doing press for his new movie Hail, Caesar!, Josh Brolin teased that he's about to meet with Marvel's Kevin Feige, Louis D'Esposito and Avengers: Infinity War directors Anthony Russo and Joe Russo, where they will hash out Thanos' future in the MCU. "So Kevin [Feige], Louis D'Esposito - who I've known for a long time, since he was a First AD that I worked with on Hollow Man with Paul Verhoeven - and then the brothers... the Russo brothers. I get together with them next week, maybe the week after, and we're going through the whole thing. And I don't know anything at this point. I know a little, but, honestly, very little." We first saw Thanos at the very end of Marvel's The Avengers, where it was revealed that he was the mastermind behind Loki's attack on Earth. He next appeared in Guardians of the Galaxy, and then during the end credits sequence of Avengers: Age of Ultron, where he was seen wielding the mighty Infinity Gauntlet. The actor revealed in a separate interview with Superhero Hype that the process of playing Thanos in motion-capture is very exciting but unnerving, although he says taking the role was one of his best decisions ever. 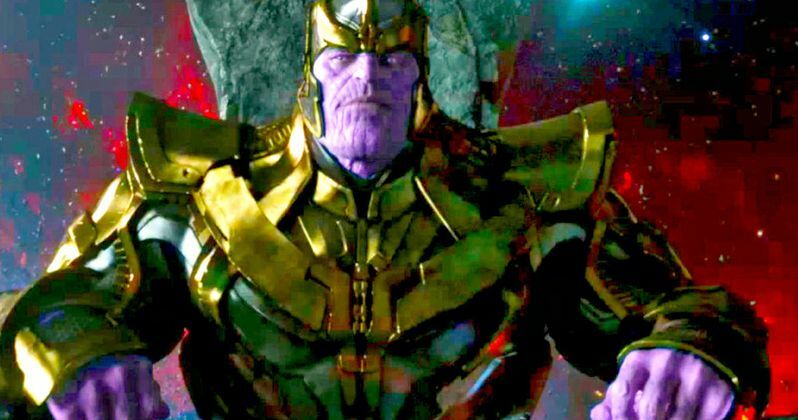 While the Mad Titan will certainly be a main part of the two-part Avengers: Infinity War, we still don't know when we'll actually get to see all of the Infinity Stones themselves. As of now, four of the six Infinity Stones have been revealed, but it isn't known when the last two will come into play. The Space Stone was the Tesseract, which is currently housed in Asgard, with the Mind Stone currently serving as a power source for Vision. The Reality Stone was originally contained in the Aether from Thor: The Dark World, and is now housed in The Collector's (Benicio Del Toro) museum, and the Power Stone was first seen in the orb from Guardians of the Galaxy, which is now housed at Nova Corps. The last two stones, the Soul Stone and the Time Stone will surely come into play at some point in Phase Three. What do you think about these new details?